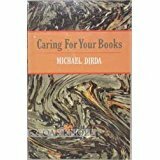 Home » Books » Nonfiction » Caring For Your Books - Michael Dirda - Softcover - NEW!!! Top-Rated Sellerloubigfish consistently earns high ratings from buyers thanks to fast shipping and excellent service. Returns are NOT accepted UNLESS there is a MAJOR inaccuracy in the listing description. A restock fee of 20% of final value price is charged. Notification must be given within 48 hours of receiving your item. 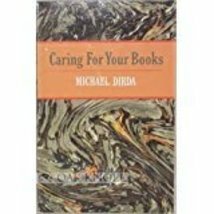 Product must be returned within 7 days of notice, in the same condition received, to receive a refund.Taking a picture of the item and e-mailing would assist all matters. Shipping is not refundable. SO ASK ALL QUESTIONS BEFORE YOU BID.